Homemade play dough means double the fun, because making the play dough with the kids is just as fun as playing with it. This is a simple recipe, containing things you're likely to already have around the house. Plus, it involves no cooking, so even your littlies can take part. It's a cheap way to have fun with the kids, and you know exactly what's inside incase some happens to sneak into their mouth. 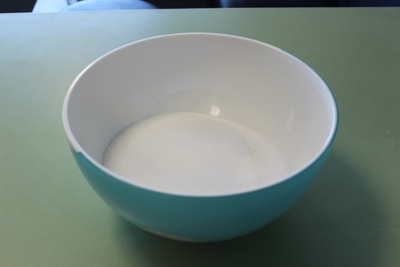 Place the try ingredients in a bowl and combine. 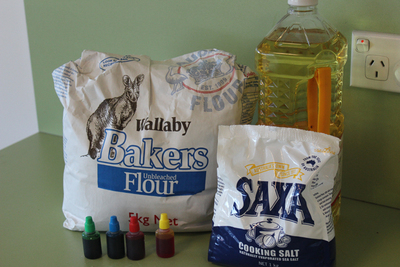 Use table salt rather than cooking salt, because the larger granules in cooking salt can make the play dough very coarse. Add the oil and food colouring, and then begin to add the water gradually. 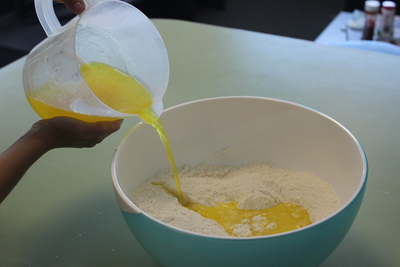 Stir the mixture and add enough water till the dough comes together and forms a moulding consistency. Add small amounts of water or flour to adjust the consistency. 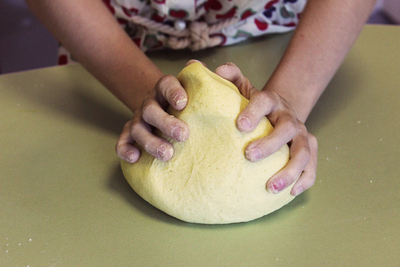 Then knead the dough until it is smooth and combined. 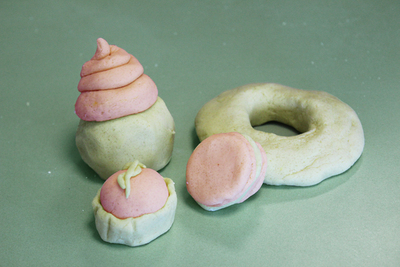 Now the play dough should have taken shape, and all you have to do is start having fun. It's obviously a little more fun if you have more than one colour. It takes a little more time if you divide the mixture to use multiple colours, but it'll allow even more creativity.